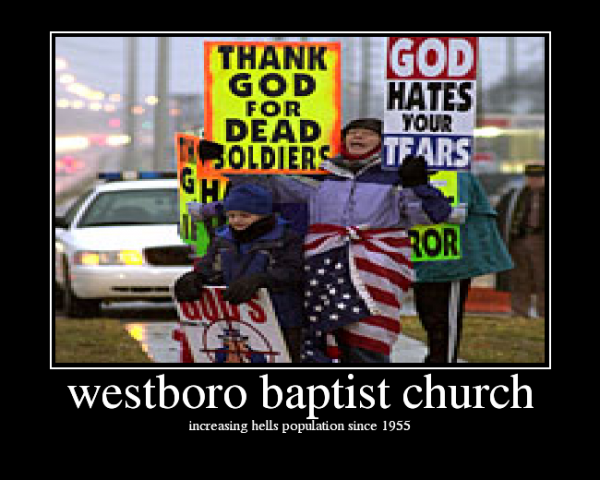 Westboro Baptist Church: Fred Phelps is at it again! Well, well. 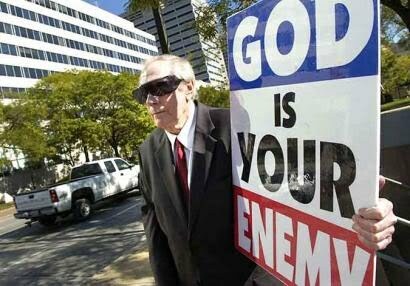 More on these religious psychos. Jesus didn't say "Turn the other cheek, hate the Muslims, gays, Jews, Hindus, etc." Jesus in theory is supposed to be about love and acceptance. These people are the opposites.